If you look closely at the poster below, you will note that even Bacardi itself calls the version without Grenadine a dry version of the Bacardi Cocktail, whereas they called the version with the Grenadine a sweet version. 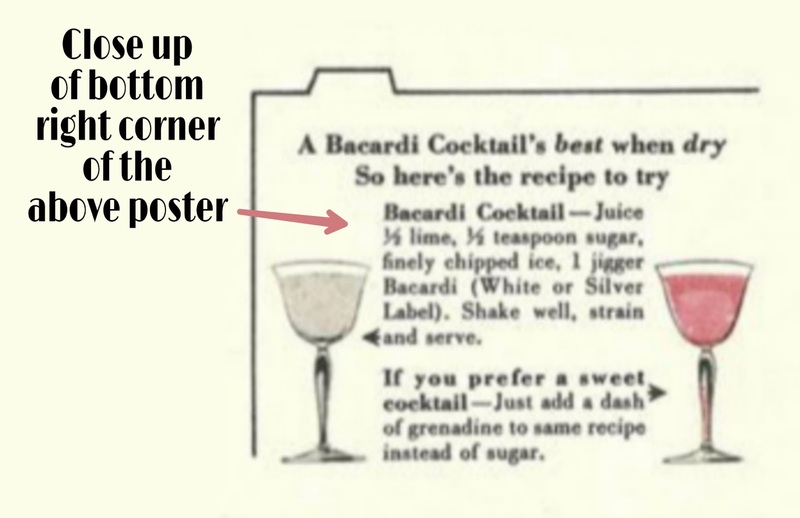 Also note the smaller ingredient sizes, that's because cocktail glasses were smaller back in those days. 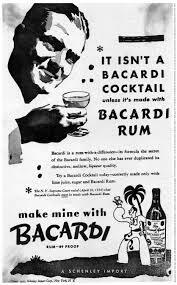 Also evidenced by the posters above is Bacardi's campaign to keep the Bacardi in the Bacardi Cocktail. 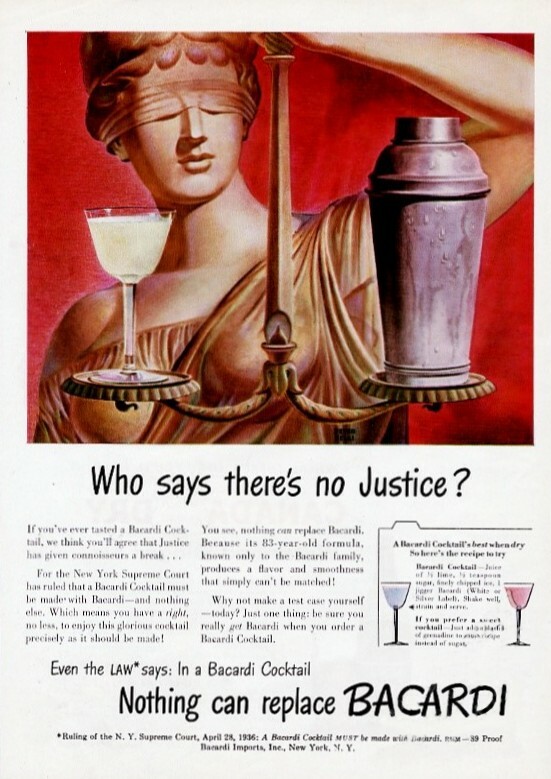 In fact in 1936 the Bacardi company got so tired of people using non Bacardi rum in their signature cocktail that they took the case to court to protect their brand. 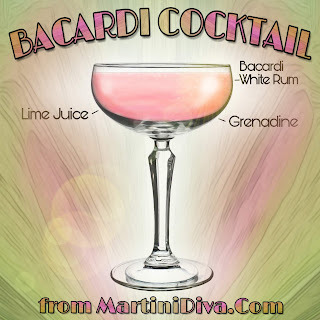 On April 28th of that same year, the New York Supreme Court ruled that the drink must contain Bacardi rum in order to be called a Bacardi Cocktail. 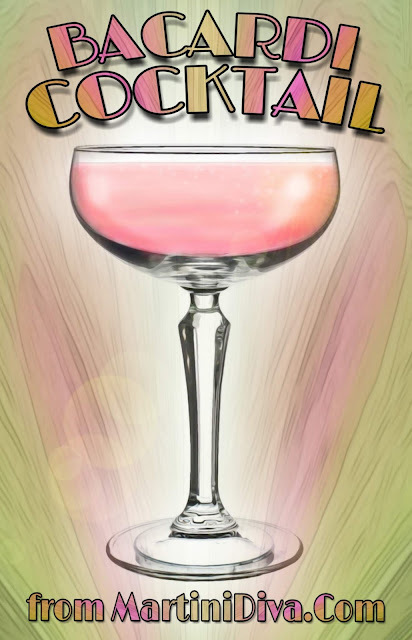 So be aware, if it doesn't use Bacardi, you can't legally call it a Bacardi Cocktail! DIRECTIONS Shake together in a mixer with ice. Strain into glass and serve. 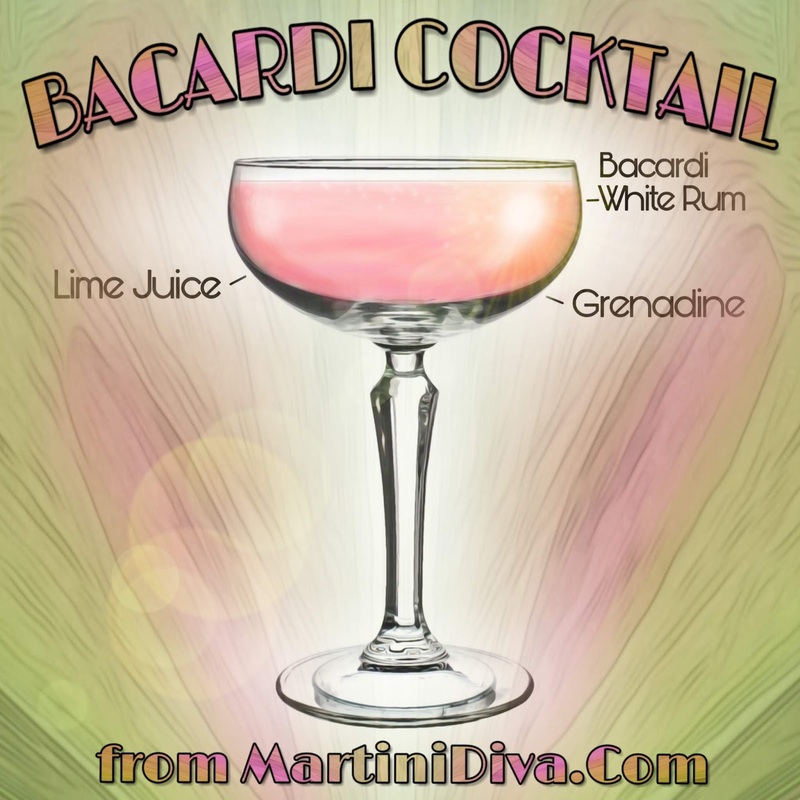 ** Generally, when any cocktail calls for grenadine, I will use my Homemade Grenadine Syrup in place of bottled Grenadines. In this case, I do not because bottled syrup is part of the balance of the original cocktail recipe.